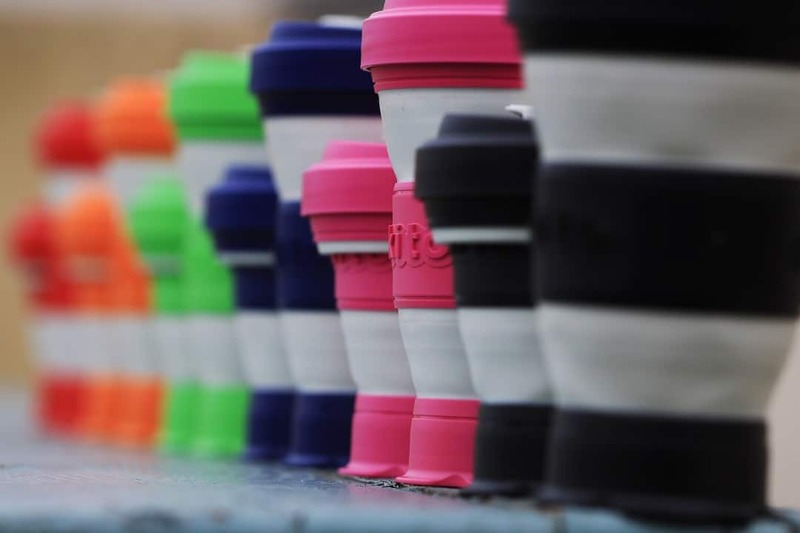 Introducing Pokito, a range of award winning* reusable, lightweight hot drinks cups that are resizable and flatten down small enough to fit in your pocket. 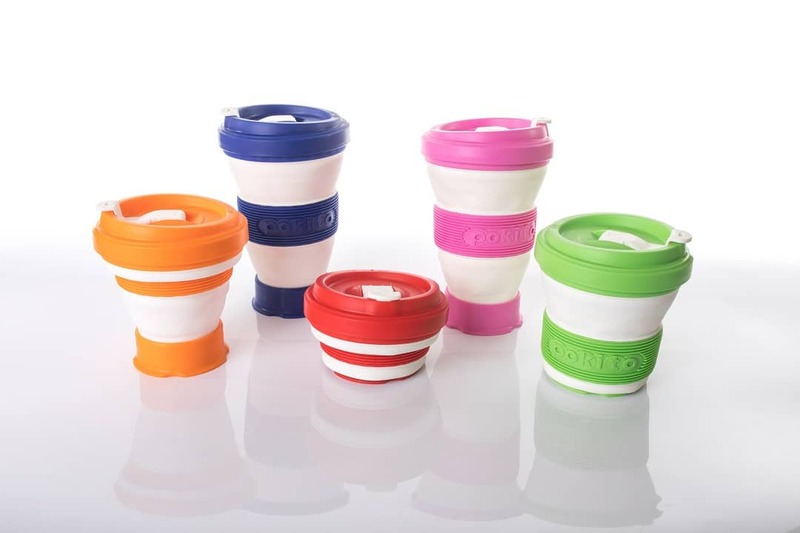 What makes Pokito Cups unique is the fact that they are collapsible, which means they can be resized into 3 different size settings; espresso (230ml), medio (350ml) and grande (475ml), as well as the ability to collapse down to just 4.5cm for easy storage. 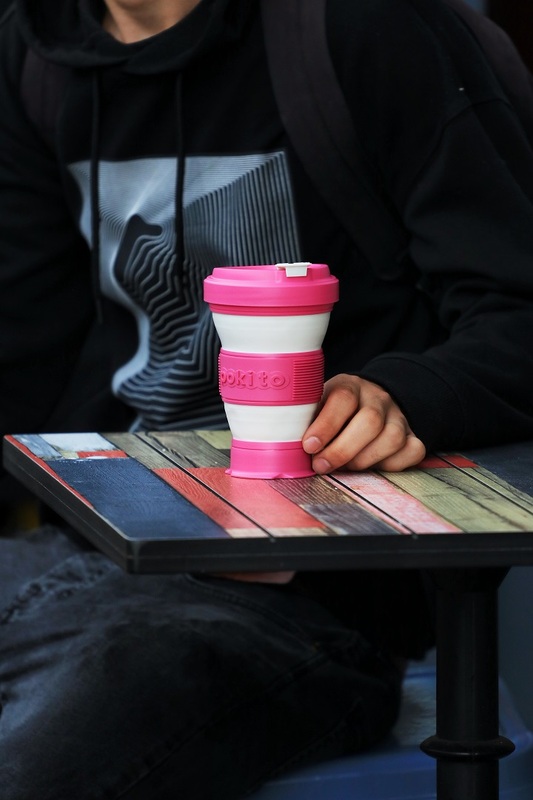 Pokito Cups also have a water-tight screw-top lid with a click-shut seal for the drinking hole, which helps to ensure that there is no dripping when sipping and no leakage in the hand or bag, even on bumpy rides to work. The FDA-approved food grade materials with splayed base means that Pokito Cups are safe and won’t topple over, can be washed easily by hand or in the dishwasher, and are both taste-free and odourless, so it won’t affect the flavour of your favourite hot drink. Produced in ISO 9001-certified British factories, the material’s super durability means the cup’s footprint becomes environmentally-sustainable after 15 uses. But it has been tested to last for 1,500+ uses. Pokito Cups are extremely comfortable to hold and the grooved, non-slip, fully-incorporated insulation band helps to offer an easy grip that is never too hot to touch. The cups are currently available in six colour variations – lime, cherry, blueberry, raspberry, blackberry and pumpkin. For more information on the Pokito Cup range view our informative pdf or get in touch with us today. *Pokito Cups won the Gold Award at the Innovation Challenge Awards at lunch! 2018.